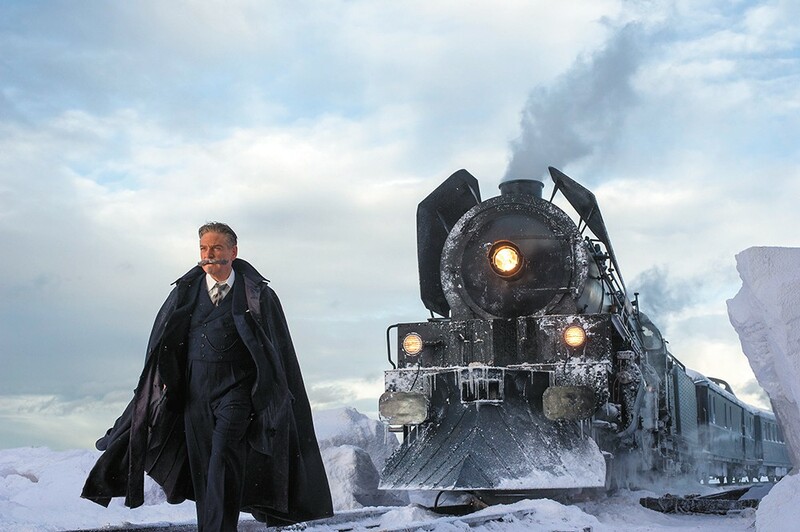 Kenneth Branagh is all mustache and no character in his new adaptation of Agatha Christie's famous whodunit Murder on the Orient Express. Here's the biggest mystery of director and star Kenneth Branagh's opulent period mounting of the 1934 Agatha Christie novel: Why? Who was clamoring for yet another retelling of a story that has been told onscreen — both the big and small screens — several times already, and as recently as 2010 in the beloved television series starring David Suchet as Hercule Poirot? This isn't Hamlet, an enduring consideration of humanity, as Branagh would well know. There's nothing inherently timeless about Christie's story. It's something of a mixed blessing that almost no attempt has been made to update the tale for modern sensibilities, an accidental irony in a film almost entirely lacking in humor, self-awareness or subtext. And the less obvious route to take — such as, perhaps, riffing on the one aspect of this particular mystery that accounts for its fame — would result in a very different sort of movie than Branagh clearly wanted to make. But still, what we've ended up with here is a film that feels doubly dated. For one, it adheres far too slavishly to a more than 80-year-old novel that was very much of its time. For another, it harkens back to an age of entertainment that is over. When director Sidney Lumet gave us his adaptation of Orient Express in 1974, the gathering of Hollywood luminaries that was his cast (Lauren Bacall, Ingrid Bergman and Sean Connery, for starters) would have felt like an event. In our era of 24/7 on-demand movies, prestige television and endless hot- and cold-running celebrity news and gossip, it just feels like one more pile-on. Christie's fiction was never strong on character, and that is only amplified here: As the suspects (and one of them the victim) of a murder on the moving high-speed luxury train the Orient Express, en route from Istanbul to Calais, the impressive cast cannot help but be underutilized; they're mostly just posing in their gorgeous 1930s costumes. And, to be fair, the likes of Johnny Depp, Michelle Pfeiffer, Judi Dench, Willem Dafoe, Penélope Cruz and Daisy Ridley do look amazing, but a Vanity Fair-themed fashion shoot does not a satisfying movie make. The nature of the mystery itself demands that they be underwritten, that we don't get to know them well. Branagh struggles to get past the ghost of David Suchet; a fabulous mustache isn't enough. Without engaging characters, we're left with Poirot's puzzle-solving, which here leaps from clue to conclusion with nary any detective work in between. As a procedural — which is all Orient Express has, apart from its exercise in period production design — there's little pleasure to be found in Poirot's investigation because we cannot follow his train of thought (no pun intended). By the time it all comes gushing out in the "let me tell you why I've asked you all here" finale, it swings wildly from feeling preposterous to feeling way too pat. And on top of all that lack of satisfaction, the central motivation for the murder (both in the novel and here) revolves around a fictionalized version of a real-life notorious incident in the early 1930s that would have been fresh to Christie's readers and likely would have felt shocking and even deliciously exploitative. For us, even those who are aware of what is being referenced (which won't be everyone), it does nothing of the sort. It has no power to move us. Murder on the Orient Express is not showing in any theaters in the area.